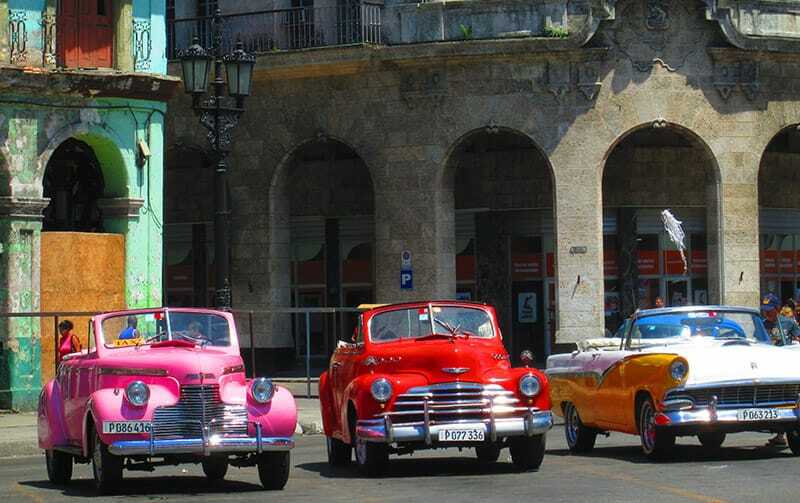 BLOG Cuba On A Budget: The Ultimate Guide On How To Visit The "Revolucion" Island. 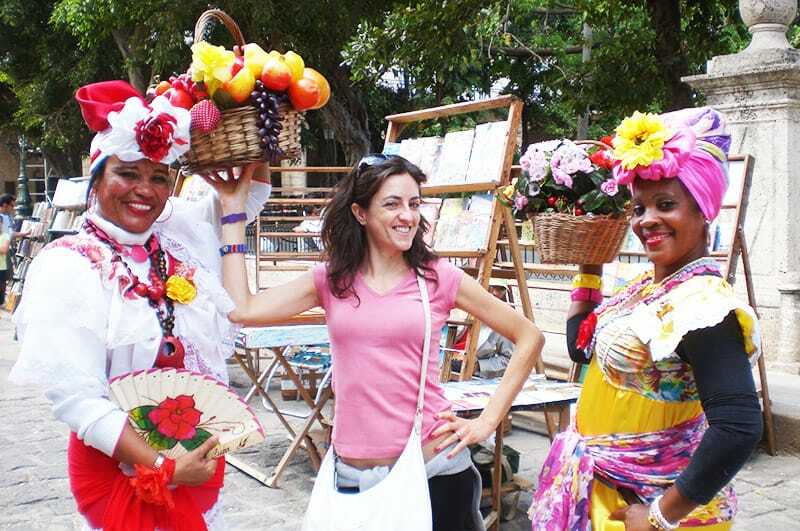 This guide is a Guest Post by Claudia, a Sardinian girl specialized in Central and South America. You know that I seldom publish any guest posts on my blog, but this guide is a massive resource of tips if you are planning a trip to Cuba, and since I’ve never been there (yet) I thought it was a good idea . I split it in chapters and pages so that you can skip from one to the other easily! Enjoy! I travel. A lot. I have lived in 2 continents, I have visited 3. I have a passion – shall we call it obsession? – for anything Latin American. Needless to say, Latin America is where I normally aim to travel. Yet, when I arrived in Cuba I quickly realized that this is not just Latin America, it is not just the Caribbean. There is much more to Cuba than just a specific location: travelers would be better off leaving all their expectations behind passport control. It is a beautiful country, but more than anything else it is interesting, mysterious, difficult and challenging; it may test one’s patience and in some aspects, you may find it plainly strange. Yet, you cannot help but fall in love with it and wishing to eventually go back and uncover more of its charm. If you want to have a “ready to go” One week itinerary for Cuba, check out my latest article: Cuba in one week! Cuba is a poor country, there is a constant need for material goods and life is plain and modest there, yet culturally rich. It may be decadent, with buildings falling apart, yet one ends up being charmed by it. It is a perfect mix of lush nature, beautiful colonial cities, gorgeous beaches and crystal clear seas, mesmerizing countryside and tasty food. It can be plainly irritating, but it will teach one a good lesson. With this past in mind, you may expect to find a dark, sorrow totalitarian State, but will be surprised to meet its exuberant, colorful and lively people. Despite the difficulties they face in their everyday life, Cubans always smile: you will see them enjoying a game of chess or backgammon, sitting on an improvised table right outside their home; they will walk around with a small radio playing their favorite salsa or reggaeton tunes, proudly fix their old cars made up of leftover pieces of old Russian Ladas or American vintage cars; or wait patiently sitting on a sidecar. Cubans proudly wear hot rollers to curl their hair while going to work in the morning and prepare amazing meals by using simple ingredients. They are ingenious and pragmatic; they are survivors, lively, cynical and wise and you can learn a lot from just observing their daily struggle for life. Was in Cuba a week ago and had the most incredible time. In Viñales, I really recommend the “Casa Dovales” amazing people, great hospitality, the rooms were perfect, and the food I ate in the house was very good as well. Definitely is a must go to if you go to Viñales. Such a great guide! I went to Cuba in 2014 and am glad I did. It was one of the most amazing places I’ve ever been to (my photos don’t do it justice). Thanks for providing wonderful information. UFC – Vamos a hacerlo juntos? De vencer nuevamente a McGregor, Nate Diaz amenaza..
Cuba is an absolutely amazing place to visit, thanks for the article. So if the internet connection is Cuba is not as good as people say what would you recommend? do you think my local verizon would be more reliable during roaming mode then the service that they offer there, I plan to attend and I want to constantly send pictures to my family and friends so is important forme. Wow Claudia! Now that I’ve booked my tickets to Cuba next month I read your article. WOW, WOW, Super-WoW. You spent a lot of time on this and it has a ton of juicy, useful info. Particularly the contacts for the Casa Particulares. I’m so psyched about this trip! Thank you so much for writing this. Great post Claudia with nice image. After read this post I experience that you have been very closely touch with the Cuba cultures and their peoples. However next year I have a trip planning for Mexico and no doubt those we included the Cuba in our trip map. Already booked a private vehicle for our trip from a transport agency as “Dtourscancun”. Hope we would have an unforgettable trip from there. Nice, Claudia! Cuba is on my list of must-see. Couple of months ago we went to St. Petersburg with Travel all Russia to see Mother Russia and how people are living there. Eastern Europe, Cuba and few other countries should be seen by everyone, they’re very different to our mainstream attractions! You can feel the charm of the past, it really is something special. Glad you’re visiting countries as such! Gah! Clelia, I’m so jealous. 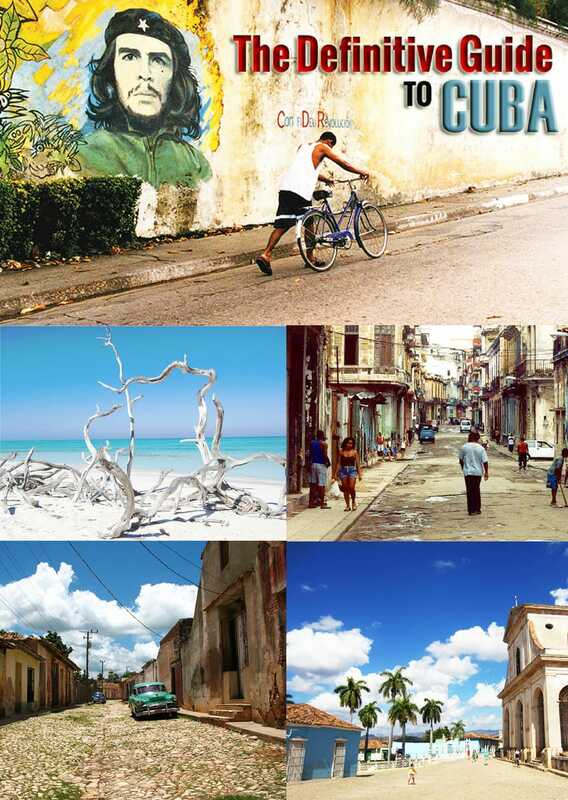 I want to visit Cuba so bad. I was in Haiti recently and I was planning on going but there were such infrequent flights from Haiti (only Mondays and Fridays at a certain time) and it just didn’t fit my budget or timeline. I need to go. It’s been a top pick of mine forever. i like all pictures of this blog i like it very much. I like this blog this is very beautiful blog and i i like all pictures of this blog. Cubans proudly wear hot rollers to curl their hair while going to work in the morning and prepare amazing meals by using simple ingredients. ciao! tanti complimenti per il tuo blog :-)! Dicono che Cuba sia una meta molto accogliente, facile da girare e certo…sorridente ! A presto! Claudia-What a great comprehensive guide you’ve put together and certainly helpful for anyone traveling to Cuba-not just budget travel! I am going in February and was thinking of a visit to Las Terrazes as I write about sustainable living and thought it looked interesting. Could you expand on your comment. Feel free to email me directly if that makes more sense. Thanks so much. It is a beautiful country, but more than anything else it is interesting, mysterious, difficult and challenging. 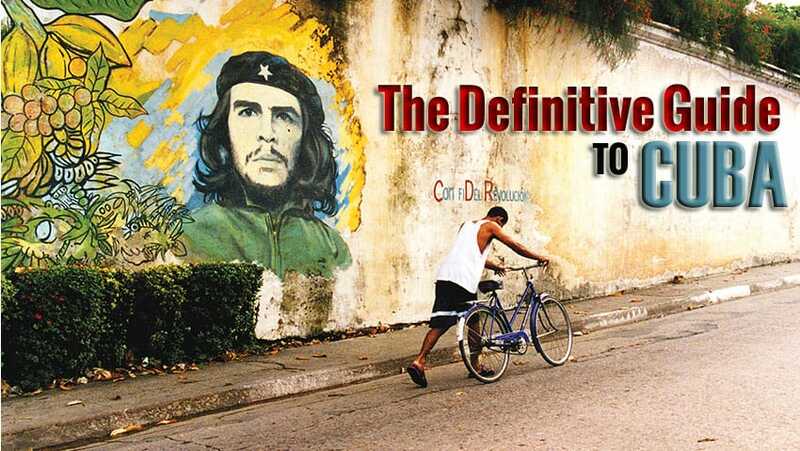 Wow, Claudia, you certainly did put a lot of energy and love in this extremely complete guide to Cuba. I’m so inspired by it and I’ve been wanting to visit Cuba for so long, this might be the final push I needed! Thank you so much for such detailed info! You rock! I knew about bringing cash but didn’t realize that there isn’t ANY wi-fi in Cuba! I’m going in early April so I guess this means I’ll have fewer things to recharge and will have to wait to do social media sharing until I get home! Thanks for the scoop.